Sparrow In Flight: The Birthday Club-January part 1! This year during Bonnie Hunter's Celtic Solstice Mystery Quilt making process a group formed on Facebook to make the quilt together. 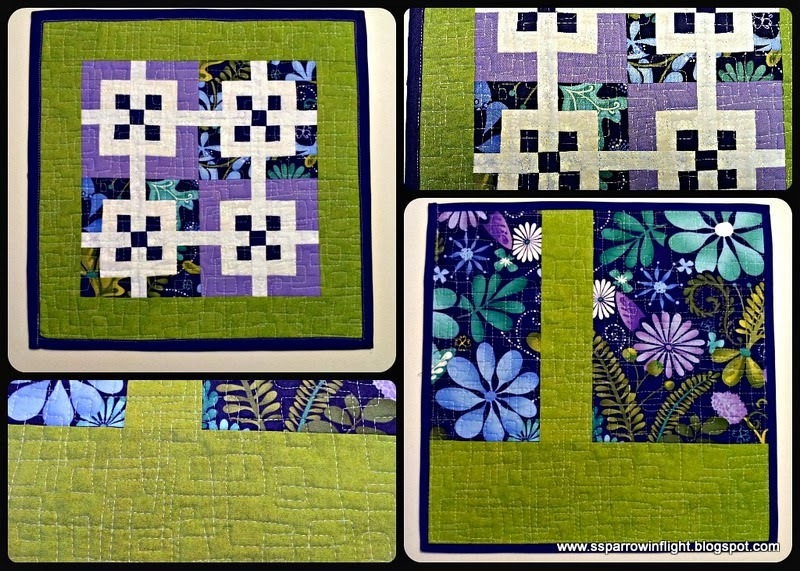 I don't have my quilts completed yet, however the Facebook group is one of the most fun experiences I have ever had quilting..EVER! Through that group I met so many people, I even joined a Birthday Club group where we celebrate each other's Birthday! The First birthday of our group was Becky; along with a couple little goodies, I made her a little mini-quilt. This little snack mat measures 11 3/4" X 11 3/4", the center little blocks came from Karen (EasyPatchwork) who put a recipe up on the Moda bake shop HERE. The fabric is from on of Kate Spain's lines along with some solids and other fabrics from my stash. I will definitely make this pattern again! This is one of those purely for the enjoyment kind of projects. I am trying to get back to making things just for the enjoyment of the process in making it. Our next duo of birthday Gals are at the end of this month and then not another until March. 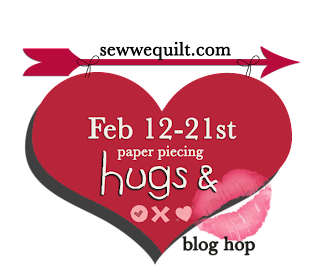 I still have things to make for Miss Z for her birthday, as well as items for participating in SEW WE QUILTS' Hugs and Kisses Blog Hop! I have so many fun projects already in the works, I am just bursting with excitement If you are interested in participating in some of the other upcoming events, check out the site for more information. It does sound like you are in your element, Shanna. The little quilt is just darling and I love those fabrics. It is always so much fun to get involved with other quilters. Enjoy the process.